PlayStation VR Borderlands 2 VR and Beat Saber Bundle DISCOVER A NEW WORLD OF PLAY. Your heart will race. Your pupils will dilate. Your instincts will kick in and take over as you discover new worlds. Fully immerse yourself in the experience, whether you want to slay mythical beasts, step into the boxing ring, survive the undead, or take on more than 200 incredible games and counting.1 Greatness Awaits Borderlands 2 VR The iconic shooter-looter gets in your face! Virtually immerse yourself in the untamed world of Borderlands. Step into the boots of a treasure-seeking Vault Hunter armed with 87 bazillion guns on a quest to line your pockets with loot. Blast bandits with real-world aiming, punch psychos in the mouth, race across the desert in stolen bandit vehicles and free Pandora from Handsome Jack s clutches! PUT ON YOUR VIRTUAL BOOTS Become one of four playable classes: Siren, Commando, Gunzerker and Assassin, each with unique skillsets and combat styles! GET VIRTUALLY LOADED Shoot-and-loot with bazillions of procedurally-generated guns, each with their own capabilities and modifiers. Plus, lust after procedurally-generated shields, grenades, relics, class mods and more for maximum power and mayhem! VIRTUALLY SLOW TIME Use the new Slow-Mo ability to set up your next attack! Plus, with Teleport, glide across Pandora as gracefully as Claptrap, if he had grace. Beat Saber Feel the Rhythm Lose yourself in the smoothest combination of music beats and visual effects in Beat Saber s truly immersive gameplay. Handcrafted Levels & Music Unlike other rhythm games with generated content, levels and music in the game are made precisely by hand to emphasize the music experience. Easy to Learn, Fun to Master Everyone can understand the basic game principles, it's easy for anyone to pick up and play. Rise Up the Global Leaderboards Compete against other Beat Saberists around the world in several level difficulties. Great Exercise Exercise while dancing and slashing the beats, Beat Saber gets you moving. A PS4 system (sold separately) is required to use PlayStation VR. Internet connection and account for PlayStation Network required to download Borderlands 2 VR and Beat Saber. PlayStation and the PS Family logo are registered trademarks of Sony Interactive Entertainment Inc. 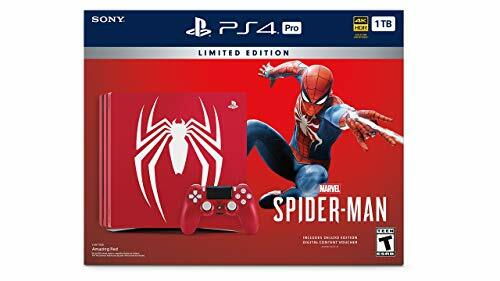 This Spider-Man PS4 Pro bundle includes a fully customized Amazing Red PS4 Pro console featuring the Spider icon, DUALSHOCK 4 wireless controller, Marvel's Spider-Man game, and digital content. Entertainment Software Rating Board (ESRB) Content Description: Blood, Drug Reference, Violence, Language. Incredible games you've come to the right place. Exclusive games take you on incredible journeys, from critically acclaimed indies to award-winning AAA hits. Endless entertainment something new and amazing is always in reach. Find what you're looking for and get it at the touch of a button via PlayStation entertainment options like PlayStation Vue and more. Introducing PlayStation VRRedefine your expectations of immersion in gaming with moments so intense your intuition takes over. Playstation accessories push the boundaries of play with DUALSHOCK Wireless Controller, and enhance your games with PlayStation Headsets. Incredible Games: You ve come to the right place. Experience incredible games from critically acclaimed indies to award-winning AAA hits. Endless Entertainment: Something new and amazing is always in reach. Find what you re looking for and get it at the touch of a button via PlayStation entertainment options like PlayStationVue and more. In Blackout, Black Ops comes to life in one massive battle royale experience, combining Black Ops signature combat and the biggest map in Call of Duty history. Play as fan favorite characters and battle through iconic settings from the Black Ops universe. It s a collision course bringing together the worlds of Black Ops in an all-out survival and elimination experience featuring weapons; equipment; land, sea, and air vehicles; RC-XDs; traps; and even Zombies in an experience that is uniquely Black Ops. The game offers a new level of online action across a variety of new weaponry, maps and modes. For the first time Multiplayer serves as the center of the game s narrative, as players uncover a deeper connection to the role of each Specialist and their unique playstyles. With the return of the Pick 10 Create-a-Class system and when combined with the new Gear category gameplay becomes more customizable than ever, giving players choice over how to power up their Specialists. Call of Duty: Black Ops 4 has the most active calendar of events and content updates in Black Ops history across all three epic modes Multiplayer, Zombies and Blackout. PlayStation Players will get access to Play New Content First including New Specialists, Maps, Blackout Updates and Seasonal Events. 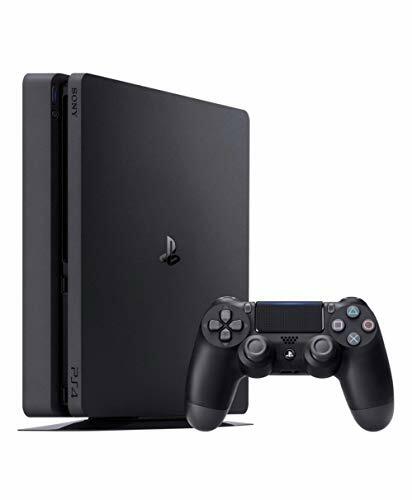 The new slim PlayStation 4 opens the door to extraordinary journeys through immersive new gaming worlds and a deeply connected gaming community. You ve come to the right place. Exclusive games take you on incredible journeys, from critically acclaimed indies to award-winning AAA hits like Uncharted 4: A Thief s End . The DUALSHOCK 4 wireless controller features familiar controls while incorporating new ways to interact with games and other players. Dual analog sticks and trigger buttons offer an even greater sense of control, while the capacitive touch pad opens up endless potential for new gameplay possibilities. 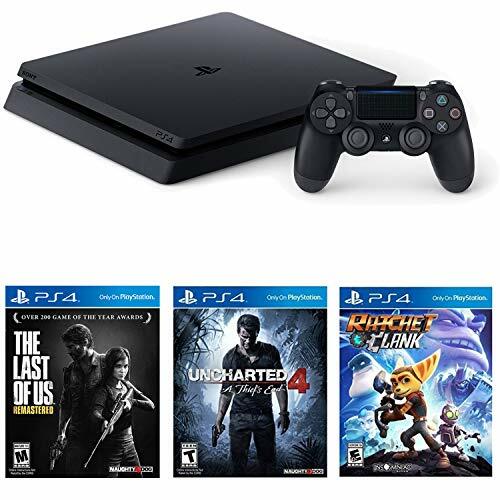 Includes a new slim 500GB PlayStation4 system, a matching DualShock 4 Wireless Controller, and Uncharted 4: A Thief's End on Blu-ray disc. Celebrate a gaming icon with this days of play PlayStation 4 Console. The Slim blue unit features the Controller button symbols in Gold along its side, while the 1TB hard drive provides plenty of room for all your favorite titles. 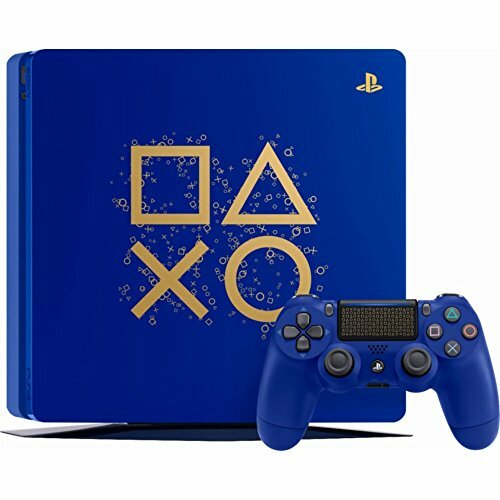 Complete with a matching dualshock Controller in the same bold blue Hue, this limited Edition days of play PlayStation 4 Console is ready to go right out of the box. . Experience a brand-new and authentic Spider-Man adventure with a fully customized Amazing Red PS4 Pro console featuring the Spider icon, DUALSHOCK 4 wireless controller, Marvel s Spider-Man game, and digital content. This isn t the Spider-Man you ve met or ever seen before. This is an experienced Peter Parker who s more masterful at fighting big crime in New York City. At the same time, he s struggling to balance his chaotic personal life and career while the fate of millions of New Yorkers rest upon his shoulders. 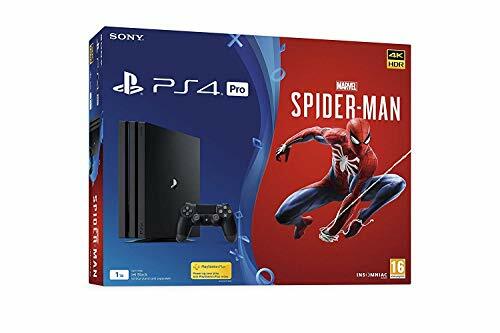 Marvel s Spider-Man PS4 Pro Features 4K TV Enhanced - When played on a 4K TV, Marvel s Spider-Man outputs in a 2160p dynamic 4K resolution achieved through temporal injection. HD TV Enhanced - 1080p HD TV players will benefit from increased image clarity through super-sampling. HDR Compatible - Players with HDR displays can experience the game in high-dynamic range color (HDR). When a new villain threatens New York City, Peter Parker and Spider-Man s worlds collide. To save the city and those he loves, he must rise up and be greater. After eight years behind the mask, Peter Parker is a crime-fighting master. Feel the full power of a more experienced Spider-Man with improvisational combat, dynamic acrobatics, fluid urban traversal, and environmental interactions. A rookie no longer, this is the most masterful Spider-Man you ve ever played. The worlds of Peter Parker and Spider-Man collide in an original action-packed story. In this new Spider-Man universe, iconic characters from Peter and Spider-Man s lives have been reimagined, placing familiar characters in unique roles. The Big Apple comes to life as Insomniac s most expansive and interactive world yet. Swing through vibrant neighborhoods and catch breathtaking views of iconic Marvel and Manhattan landmarks. Use the environment to defeat villains with epic takedowns in true blockbuster action. The Limited Edition Marvel s Spider-Man PS4 Pro Bundle includes three chapters in Marvel s Spider-Man: The City that Never Sleeps series (available post launch), Spidey Suit Pack, five extra Skill Points, early unlock of a Spider-Drone Gadget, Spider-Man PS4 Custom Theme, and Spider-Man PSN Avatar. This bundle will vault you into the greatest galactic battles in the Star Wars universe. 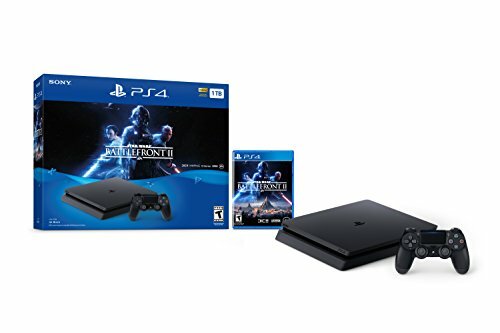 Featuring a Jet Black 1TB PS4 and a DUALSHOCK 4 wireless controller, there's no better place to be a hero and dominate the galaxy. Crush the Rebel Alliance, or fight for freedom from the Empire. Dismantle the Resistance, or protect it from the First Order. The choice is yours in an all-new playground of intense galactic struggle. From epic ground assaults to stunning vehicle play and heart-pounding aerial dogfights, dominate every game mode in battles that span across all eras of the Star Wars universe. The Force Is Strong With PlayStation. The Call of Duty: Black Ops 3 PlayStation 4 Bundle immerses you into a new era of Black Ops, a future where bio-technology has enabled a new breed of soldier, blurring the lines between humanity and technology. Play as a soldier with enhanced combat capabilities to fight faster, stronger, and smarter on the world's most popular next gen gaming system. 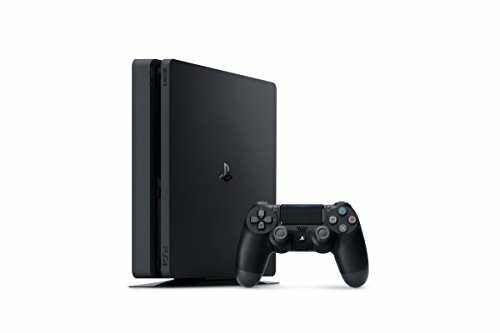 Featuring a 500 GB PlayStation 4, Standard Edition full game and a DUALSHOCK 4 wireless controller, there's no better place for the ultimate Call of Duty fan to immerse themselves into a new breed of Black Ops. Call of Duty On PlayStation 4 - Play Map Packs 30 Days Early, Only on PlayStation About Call of Duty: Black Ops 3: Coming to PS4, Call of Duty: Black Ops 3 combines three unique game modes: Campaign, Multiplayer and Zombies, providing fans with the deepest and most ambitious Call of Duty ever. The Campaign has been designed as a co-op game that can be played with up to 4 players online or in solo mode. Multiplayer will be the franchise's deepest, most rewarding and most engaging to date, with a brand new chain-based fluid movement system, the introduction of Specialist characters - complete with weapons and abilities - as well as new ways to customize gear for battle. And Zombies delivers an all-new mind-blowing experience with its own dedicated narrative. Call of Duty: Black Ops 3 on PS4 can be played entirely online, and for the first time each of the offerings has its own unique player XP and progression systems. The title ushers in an unprecedented level of innovation, including new AI and animation systems, as well as cutting edge lighting systems, visual effects and audio that continues to set the standards that Call of Duty fans have come to expect from the critically-acclaimed series. 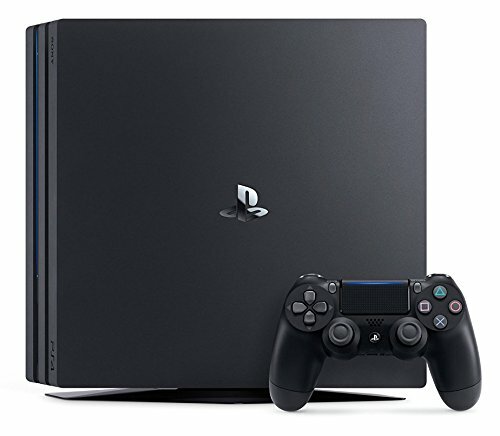 ake play to the next level with PS4 Pro: See every detail explode into life with 4K gaming and entertainment, experience faster, smoother frame rates and more powerful gaming performance, and enjoy richer, more vibrant colours with HDR technology. 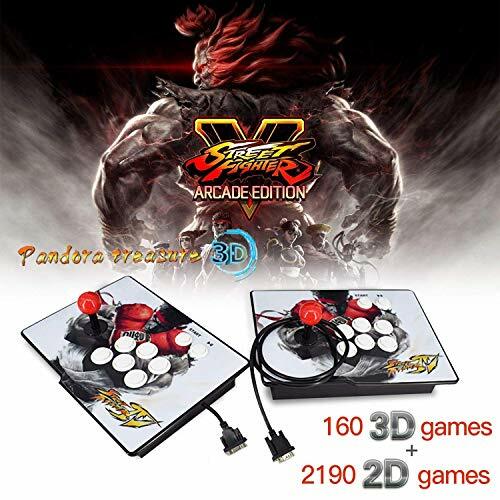 2350 Games in 1 Arcade Game Machine: 160 3D & 2190 2D arcade games built in 1 pandoras box, which supports you experience different games and never feel bored, Plug and play, 4 core CPU, adopted flash memory technology, faster operate, feel free to fight. Mutual Independence: Combined arcade game machine, double control platform can be disassembled and connected with the 5 ft-long data cable. The PK does not interfere with each other at the same time, giving you and your opponent extraordinary performance. Wide Compatible: Arcade game machine can be connected with PC, TV, projector etc. Can be connected with the joystick of PS3, PS4, Xbox, Nintendo, offer you another gaming method, you can sit on the couch and play game with the joystick, more gaming experience! Full-Featured Upgrade: The latest list automatically saves recently played games, and also supports manual search by game name to quickly find your favorite games. One-click pause function, custom buttons, expand more games (6000+) support 2-8 people to play games online ect. MeetingU arcade game machine are so powerful! Satisfaction Guarantee: Buy with confidence. We offer 100% customer satisfaction or money back guarantee, please feel free to contact us at any time if you have any questions or want a complete list of games. 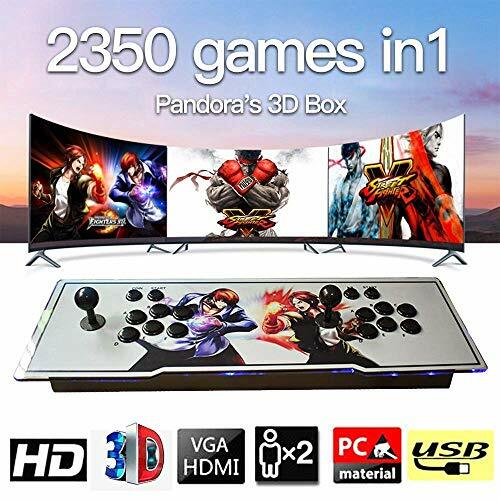 1920 x 1080P High Resolution: HDMI, VGA, high resolution output makes your video game feel more reality, especially in 3D games, bring you a fantastic game experience, everything is so clear and so real! Introducing PlaystationVR: Redefine your gaming expectations and immerse yourself in moments so intense your intuition takes over. Wireless headset The wireless headset delivers amazing audio depth and clarity, elevating your gaming experience with customizable game modes created by developers exclusively for PlayStation. 1TB of storage: The substantial hard drive lets you store several blockbuster games, plenty of apps, indie titles, recorded game footage and more. 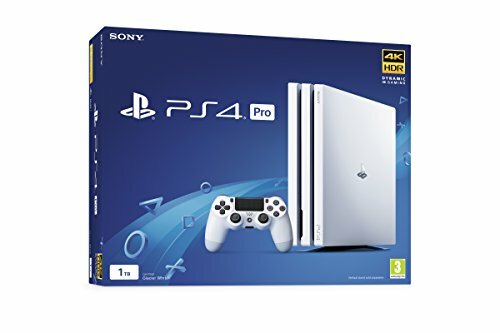 Bundle Includes PlayStation 4 PRO 1TB Gaming Console in White Retail Box, DUALSHOCK 4 wireless controller, Mono headset, Premium HDMI cable, USB and power cables and Marvel's Spider-Man Game Disc. Enhanced gameplay. Support for faster frame rates delivers super-sharp action for select PS4 games. One unified gaming community. Compatible with every PS4 game. Play online with other PS4 players with PlayStation Plus.